San Diego is a beautiful city! It’s got a ton of attractions, it’s right by the beach, and...most importantly...their sandwich spots are fuego. Use San Diego’s delivery to see for yourself and max out on this great grub! Rubicon is a sandwich place that awesome sandwiches and awesome cookies. Sandwich-wise, get the Rich Boy. It’s got grilled chicken, Monterey Jack cheese, Avocado, lettuce, tomato, onion, and garlic tabasco sauce. The mini chocolate chip cookies are dank, too! Make sure to order using Rubicon Deli’s delivery to get this awesome food delivered right to you! The selection of beers is fantastic, and they have great happy hour deals! For sandwiches, try the Carve Strami. It’s got pastrami, dijon, and pickles! It’s a new take on a deli classic! Order it using Carve delivery to have it brought right to your apartment! The chili cheese fries here are loaded with cheese and absolutely bomb. The cheesesteak is the way to go sandwich-wise, and it tastes as good as anything in Philly. The decor is very laid back, so you feel right at home when you eat here. Make sure to order using a Giorgino’s delivery service to eat this bomb food on your couch! The sandwiches here are awesome, and the beer is quality but affordable. The lobster grilled cheese is the way to go, especially if you get some warm, homemade tomato soup to dip it in. Make sure to get it with the lobster pomme frites, too! If you order it using Grater’s Grilled Cheese’s delivery service, you can get the food brought to you for super cheap! Everything on the menu here is delicious! However, if you want to start somewhere, the Caprese pesto is the way to go. It’s loaded with meat, got a creamy pesto spread, and served on freshly baked bread. If you want to enjoy this yummy sandwich by the pool in the sun, use Brothers Provisions’ delivery service. San Diego has an abundance of awesome attractions! 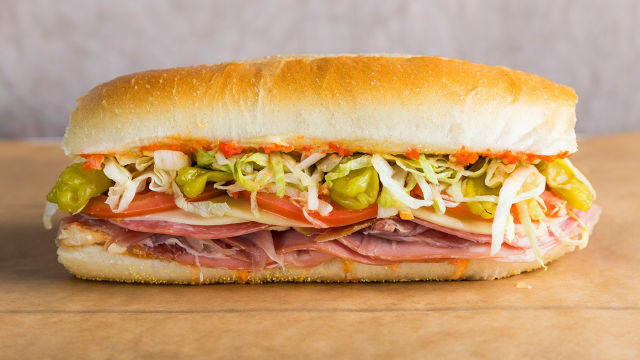 Make sure to add these sandwich places to the list and to enjoy them using San Diego’s delivery!